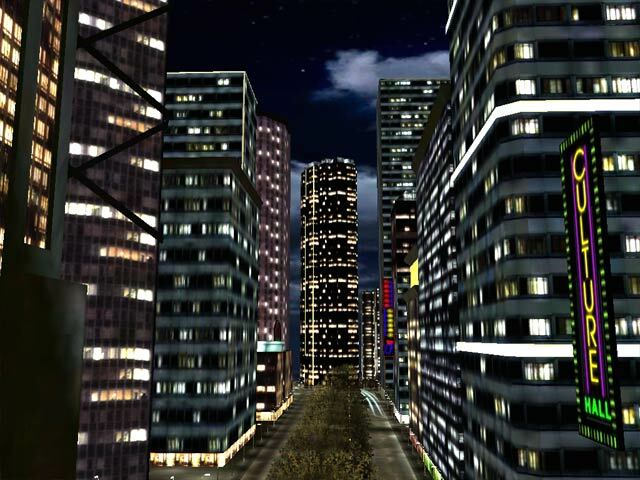 Night City 3D screensaver: Take a look at night life and enjoy watching the alluring urban nightscape! The bright lights of the night city are inviting! This fascinating animated 3D screensaver will take you on a fly-by tour around the streets of the city that never goes to sleep. The dazzling neon signs and the brilliantly floodlit buildings produce a powerful effect against the dark of the sky above. Take a look at night life from a distance and enjoy watching the alluring urban nightscape over the water. 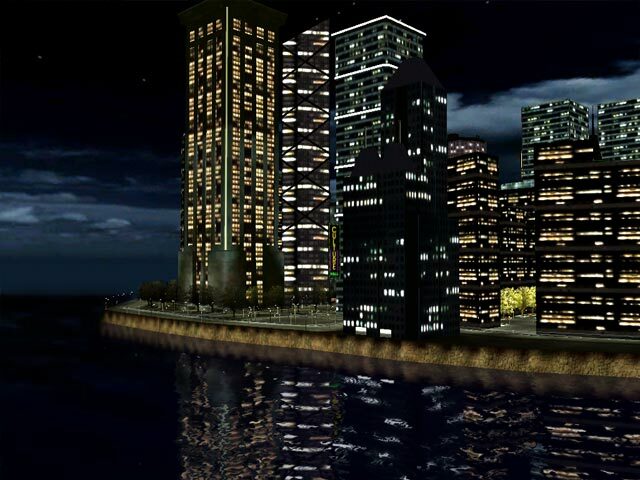 The screensaver features extremely realistic innovative 3D graphics with the latest Vertex and Pixel shaders. Beautiful ambient music perfectly compliments the scenery. Enjoy the splendor of the city at night! Experience the fascinating feeling of flight through the Matrix of reality. Take the ride through never ending tunnels that this screensaver gives you and let voices of the matrix heroes guide your journey. Open a door into different realities right in your room. Let it catch your eye and brings up thoughts about real fabric of life. Great sound and numerous skins make this a fantastic fly.